DID YOU KNOW About Our Parishes? This section contains Jamaican Parishes trivia. Did you know.. that Morgan's Valley in Clarendon was named in honour of Sir Henry Morgan, the Buccaneer Governor in Jamaica 1675-1682? Did you know... that the famous Milk River Bath is situated in the Parish of Clarendon? Did you know... that on November 12, 1723, the Bill for dividing the Parish of Westmoreland into two, received the assent of the Governor of Jamaica and the Parish of Hanover came into being? Did you know... that Lucea, the Capital of Hanover, was an old maritime town and famous sea-port where sailors spent brief periods before setting sail to other ports? Did you know... that "Gallows Point", Port Royal, was the place where condemned persons were hung & the last of those executions which took place in 1831 is graphically described by Michael Scott in "Tom Cringle's Log"? Did you know... that the silver mace used by the Speaker of the Parliament in Jamaica in 1763 was larger than that used in the British House of Commons? Did you know... that Manchester is Jamaica's youngest Parish, created on December 13, 1814, from the surrounding Parishes of St. Elizabeth, Clarendon and Vere, which were then separate Parishes? Did you know... that Manchester is one of the Parishes in which bauxite is mined on a large scale? Did you know... that Port Antonio, the capital of Portland, has two of the finest and most secure harbours in the island? Did you know... that tourism first started in Portland through the United Fruit Company? 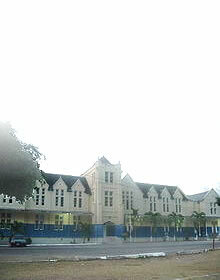 Did you know... that the Parish of St. Andrew was originally called Liguanea? Did you know... that Rockfort, in St. Andrew, was the site of a Naval Watering Place, established by Admiral Vernon in 1739-1742? Did you know... that Seville in St. Ann, was the first Capital of Jamaica? Did you know... that Cotter's Wharf in St Ann's Bay was used in the filming of the James Bond film Dr. No? Did you know... that the most important event in the history of Passage Fort, in St. Catherine, was the taking of Jamaica by the English in 1655? 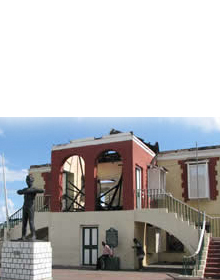 Did you know... that the foundation of St. Jago de la Vega (now referred to as Spanish Town) was probably laid by Diego Colombus in about the year 1523? Did you know... that Black River in St. Elizabeth became the first town in Jamaica to have electricity? Did you know... that John Leyden, a Scotsman brought the first car in Jamaica to St. Elizabeth? Did you know... that St. James was named after James, the Duke of York? Did you know... that Montego Bay became Jamaica's second City in 1982? Did you know... that Thomas Hibbert, who owned Hibbert House or Headquarters House, which later became the Legislative Chamber of Jamaica, is buried at Agualta Vale, St. Mary? Did you know... that Morant Bay, the capital of St. Thomas, is one of the most historic towns in the island because of its association with the Morant Bay Rebellion in 1865? Did you know... that the Morant Point Light House in St. Thomas is the oldest lighthouse in the island? Did you know... that Trelawny was named after Governor William Trelawny? 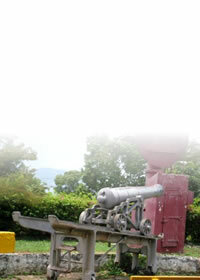 Did you know... that Martha Brae was the first Capital of Trelawny. In addition to the Rio Grande, situated in Portland, the Martha Brae River is used for rafting and it is a major tourist attraction? Did you know... that Westmoreland is probably so called because it is the most westerly Parish in Jamaica? Did you know... that in the hurricane of 1912 a schooner named Latonia, ended up in the middle of Great George Street in Savanna-La-Mar, Westmoreland?